Time to draw a line in the sand? Do codes of conduct really work? Are the rules (and penalties) applied evenly to all players? More importantly, are they seen to be applied evenly? Perception is reality. Clearly there is an absence of any universal consensus on what constitutes acceptable boundaries when it comes to on-field abuse, banter, sledging, gamesmanship, mental disintegration, call it what you like. No one is likely to shift from entrenched positions. So should the ICC show some rare leadership and draw the lines around what's acceptable, regardless of context, country, match situation, cultural norms and whether offence was meant or taken? Is it time to remove the shades of grey and simply decide on a policy, even if that policy is that there is no policy? Gloves off, no boundaries, anything goes; no more value judgements that create the perception that the code is applied unevenly and unfairly. It is a somewhat simplistic solution, of course, but in the likely absence of any global agreement on where the fine line is between banter and abuse, simplistic guidelines may indeed be all that we can rely on for transparency. Cricket is not just a global game but one that is played by countries with vastly different cultural norms, unlike, say, rugby, which, in the top tier, is dominated by countries with broad western traditions, culturally and judicially. To reach some sort of level playing field where all combatants agree beforehand on what's allowable or not will perhaps eliminate the accusations of bias and double standards that continue to rend this sport asunder, following on from the confusing case of Michael Clarke's admission that he stepped out of line and was nonetheless not reported by the umpires. It seems curious that an admission of guilt, normally used tactically to mitigate the severity of a sentence, actually resulted in no charges being upheld. And therein lies the potential for confusion and misunderstanding. Much easier then if the ICC had a clearer policy that relied less on individual judgement, context and nuance. Umpires are clearly not equipped to interpret these nuances - their skills lie elsewhere. Is it unreasonable to ask them to also be experts in behaviour analysis? We are unlikely to agree on where that line in the sand is when it comes to on-field behaviour. It is a never-ending debate that goes in circles. Race, religion, mental health, manhood, cowardice, sexual orientation, children, reference to partners and fidelity, genitalia, perceived character traits like selfishness or arrogance, perceived fear of short-pitched bowling… the list is endless. I've heard it all before and there's no telling which ones provoke laughter, anger, depression, rage or revenge. The same person can experience different reactions based on when, where, and how often he is at the receiving end, and the personal/match context. It is asking too much of umpires to interpret these complex human interactions when we also expect them to monitor no-balls, thin edges, ball-tampering, over rates, and oversee reviews. If we as spectators in the cool aftermath of an incident cannot agree on what's acceptable, is it not asking too much of players or umpires to superimpose imaginary lines in the heat of battle, taking into account personal circumstances and cultural sensitivities that are in a constant state of flux? Glenn McGrath, when in sledging mode himself, was hurt by a sledge about his ill wife. Who was to know? Maybe the ICC should now legislate (and enforce) the boundaries wherever they choose to draw the line. When it comes to verbal abuse, for example, just agree on whether it's acceptable or not. Don't leave it up to the players and umpires to decide whether one swear word is worse than another, whether one insult is more hurtful than another, whether cultural taboos hurt one group more than the other. The players are not smart enough to grasp these nuances in the heat of the moment. They risk being called cowards if they complain and umpires are expected to make value judgements based on incomplete information. They are not trained for this highly skilled task of managing human conflict. It may be simplistic but why not draw a line in the sand and enforce it? No need to make allowances for cultural misunderstandings, frustration levels or match situations. Even if the rules are relaxed, make them uniformly consistent. The current system, even if well intentioned, is open to suggestions of bias, and variable interpretation according to cultural norms that are difficult to quantify. Do South Africans cope better with sledging than Sri Lankans, for example? Do Indians react quicker to insults about mothers/sisters than West Indians? 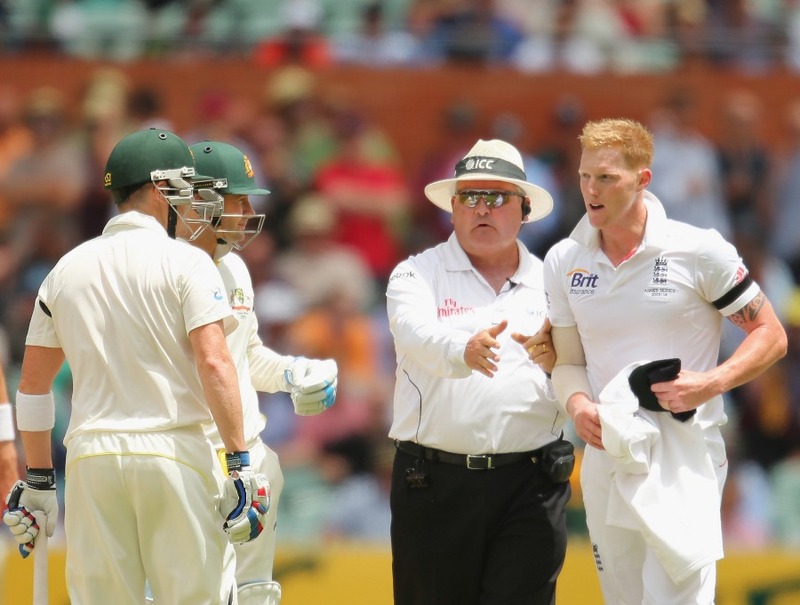 The c-word for example, clearly visible to any lip-reader watching the Australia-South Africa series went unreported (or unobserved) by the umpires despite a certain bowler mouthing off after almost every ball, regardless of the outcome. I have spoken to first-class umpires who have ignored some instances of bad language while reporting others. When quizzed, umpires themselves had no clear explanation of why they chose different outcomes, except for the possibility that they may have been in a more/less tolerant mood and the match situation or player's reputation/previous mistakes may have impacted upon their subconscious. What? Umpires have emotions too? An excerpt from a recent letter to the editor in the Australian about Darren Lehmann's ambivalence towards the behaviour of his players reveals the complexity of the issue. Even in a monoculture, not everyone will agree on where invisible boundaries are. The letter reads in part: "… It has been said that cricket mirrors life, that it is a microcosm of our society. Unfortunately the evidence of this is real, with the behaviour of players reflecting lowering standards." It is debatable whether art imitates life or vice-versa. Throughout the world, statistics of violence and anti-social behaviour show an alarming increase, for a variety of reasons that are too complex to analyse here. Sport cannot be blamed for that but it certainly cannot lay any claim to being a positive force for change either, not judging by recent events anyway . The Queensland Premier, Campbell Newman, was quoted in the Courier Mail as calling for a "code of conduct" for the general public in everyday life. If it is good enough for sporting codes, it is good enough for the rest of the community, he reckons. It's one thing having a code of conduct, Mr Premier, but it's an entirely different thing living by it. Unless these codes are actually enforced uniformly throughout the community without favour, it is as ridiculous as listening to politicians address each other as Honourable Member and then abuse each other with their next breath, protected by parliamentary privilege, blithely apologising when necessary and doing it all again the next day. Sound familiar? Blogs What's competitive about ugly on-field behaviour? Blogs Doesn't sledging hurt anyone? Blogs How did sledging become a sign of manliness?